I got this product when my daughter was around one and no longer fit in her travel system baby carrier. It has lots of padding and is suitable from birth. Rear facing and recliner adjustable. Comes with advice on what weights to change all the positions. Easy to use, easy to change size and positions. Will be using for my next child. Easy to fit in the car, great price. 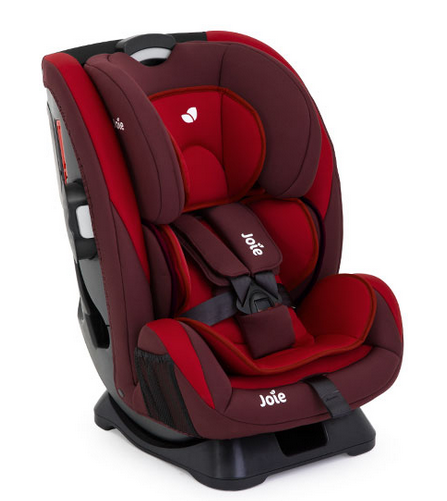 The joie every stage car seat is great, for a start it is sold at a good price, cheaper than many over car seats, and as it can go from newborn up to 12 years old it would save you a lot of money. It also can be rear or forward facing - this is great as my daughter really hates rear facing. Also very easy to install with the car seat belt. I got this for my baby as I didn't want to be buying a new car seat for every different stage he got to. So far this one has been fab, you can remove padding as they grow and no longer require it, when you heighten the headrest it also creates more room width wise in the seat. It is a big quote bulky seat but I do feel that my son is safe whilst in it. Excellent car seat, such a good investment. My son is not average build, he is long so the normal baby car seats are rubbish for him. This one is so adjustable you can be certain that your child is secure safe and comfy. Got this for my daughter as a permanent seat when I was unhappy with the one that came as part of her travel system. She's very comfortable and it is sturdy and safe. 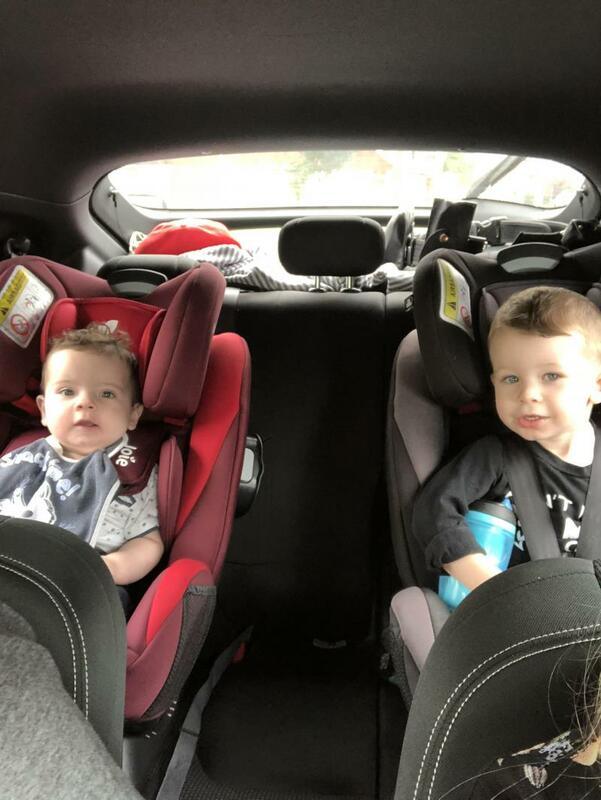 They can sit rear facing until 4 years old which is safer for them and then it converts to front facing that they can sit in until 12 years old. So great value for money! One thing that is slightly frustrating but not a big deal, when putting them in the car seat when rear facing the seat belt can get in the way but I just pop them over it. An excellent car seat option for people who don't have isofix bars in their car and just have to use seat belts to secure the car seats. Highly recommend. Easy to use and had never had any issues with putting or taking baby out we have had our for over a year now and we will definitely buy the same again for our next baby. So easy to fit, adjust and get baby in and out! 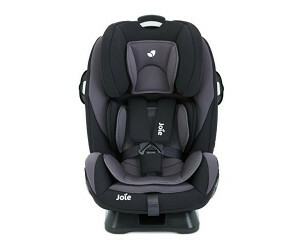 The Joie every stage car seat has been excellent so far, very accessible, easy to fit and adjust as my baby grows! Only downfall is that it is quite large and would suit a bigger car. It is quite big, so seat belt was not long enough for rear-facing. It is a fantastic product. It is great that it covers all stages of child development. 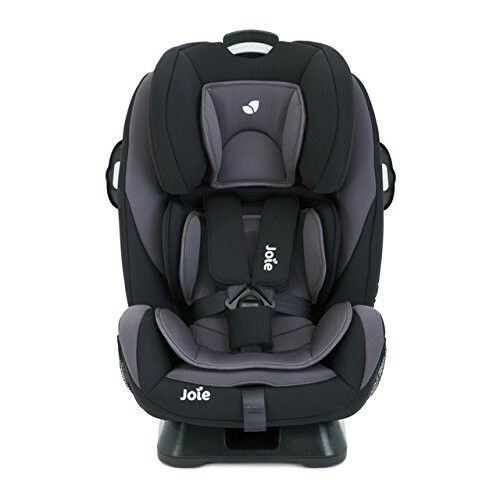 My child is quite a tall boy, currently 1 year old, and 12kg, and we were initially suggested a different car seat, but having tried it Joie was decided to be much better suited for the child. It is also great that you can take off the material and throw into the washing machine. My son lives his car seat. Being coupled up in his baby seat was really making him uncomfortable as he was getting too long for it. Now he’s in his Joie he loves it. He can spread out and I still know he’s safe. So easy to install and remove! This car seat was one of our best purchases, I like how you move the head piece and remove the padding for when your little one growing. Our daughter is 9 months old and she still fits super snug. It's safe and sits well. Comfortable. We had this car seat since my little boy outgrown his carrier car seat at 9 months. I found it easy to install even through it took bit of time to get used to seat belt being in a way. I love that my son can rear face for as long as possible without breaking my bank. Little man loves it as well as 9/10 he goes to sleep in it. I love this car seat and if I go on to have more children I will definitely be buying another! 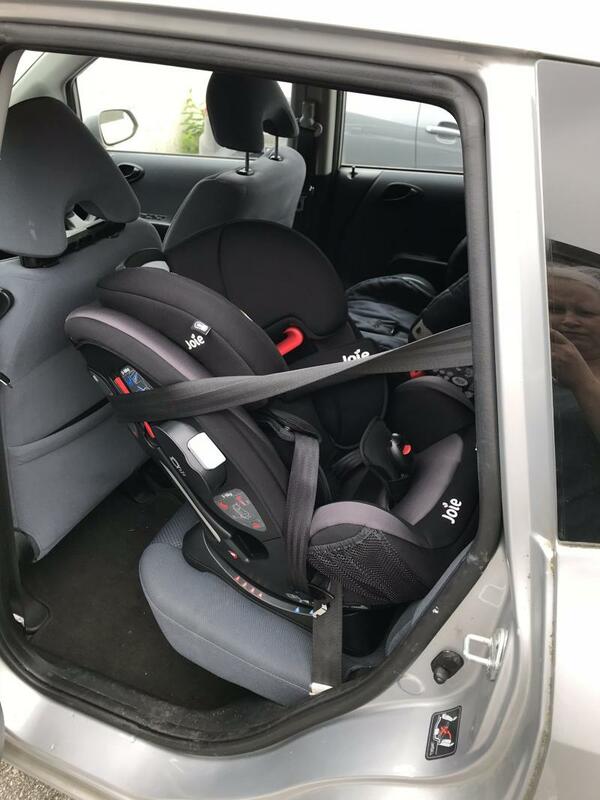 Child can stay rear facing for longer, it’s well padded and when fitted properly it sits nice and tight, I really cannot fault it, it’s quite heavy but i suppose it’s a lot more steardy compared to other car seats. It looks smart and comfy for the most part. I struggle to fit it! I bought this because of how long it lasts! No faffing and buying new ones as your little one grows, however, I can’t fit it! The shop I purchased it from fit it, and my partner has to change them from my car to his car and back again as needed. It does look smart and is easy to clean. Heads do flop forward if sleeping, even on recline. But for the safety reviews and how long it lasts, I would say it’s worth the money. I have one for each of my sons. We use this product for journeys in our Motorhome around England and Europe. It has a fantastic build, secure and reliable. The straps are adjustable to suit the size of your baby/toddler. The straps are padded to support baby’s neck. Months old as he was a long baby and out grow his baby carry car seat. Will last still they are around 8+ so no need to buy another. I think it’s a lovely seat, it looks great it’s compatible with a lot of cars, I love that it feels and looks so sturdy and that it has extra side impact bits on it. When in rear facing mode it can be slightly awkward to put baby in as the belt comes round but it’s not too much of an issue as I know rear facing is safer. 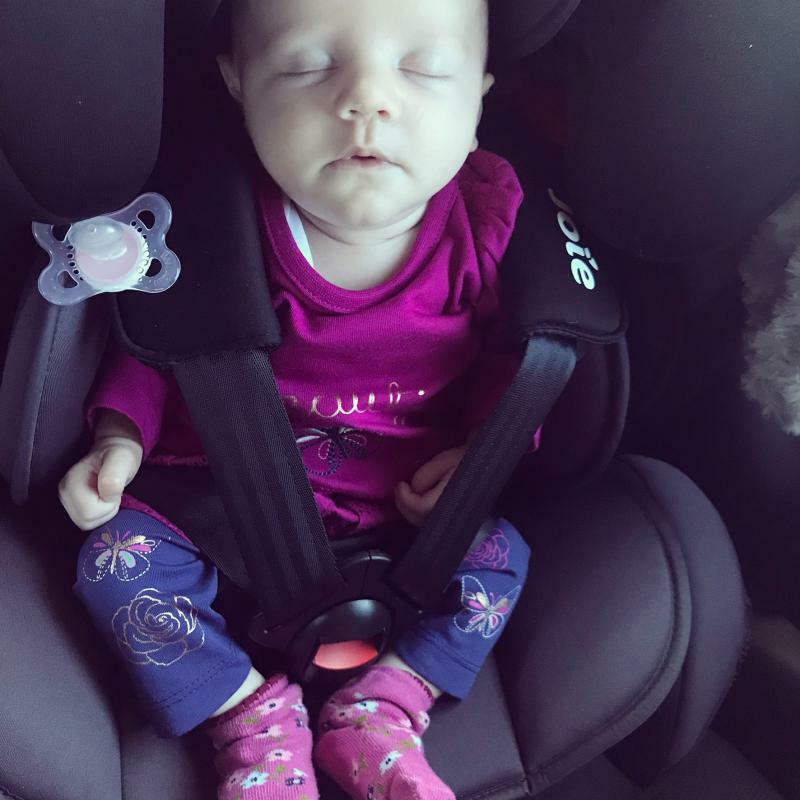 I love this car seat, I bought it when my daughter was 6 months old, she looks so comfortable in it and more secure than her first car seat, it’s great value for money as it’s last up until 12 years. I bought this car seat based on the design of it. It’s a really easy car seat to use (when facing forward). I firstly used it backward facing as my daughter was 7 months old and the seat belt got in the way making it very difficult to put my daughter in it. I had to get in the other side of the car to put my daughter in it. When I then turned it forward it was much easier to use. It is very padded (padding can be removed) which makes it very comfortable. Great car seat for the money. Really comfortable and soft car seat. 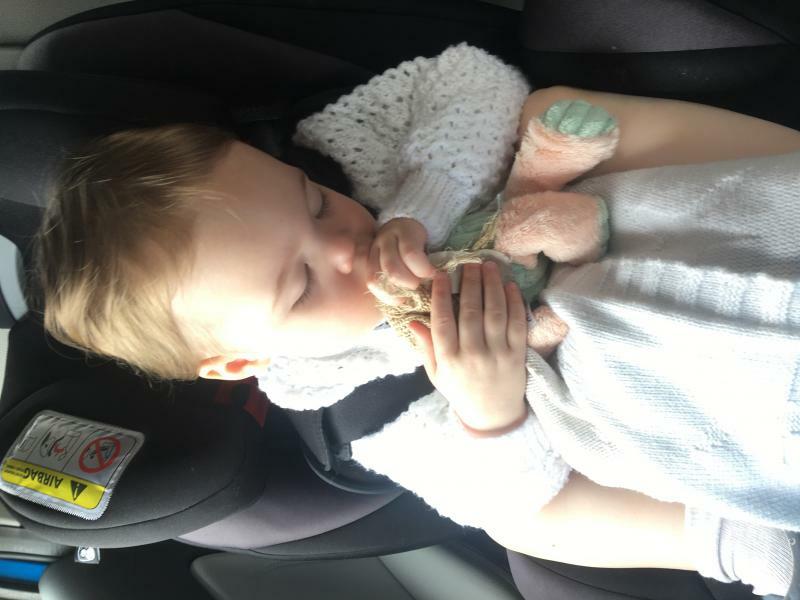 My little girl always found it comfortable and even on longer journeys didn't kick up a fuss and didn't try to get out as with some other seats. Always looks happy in it. 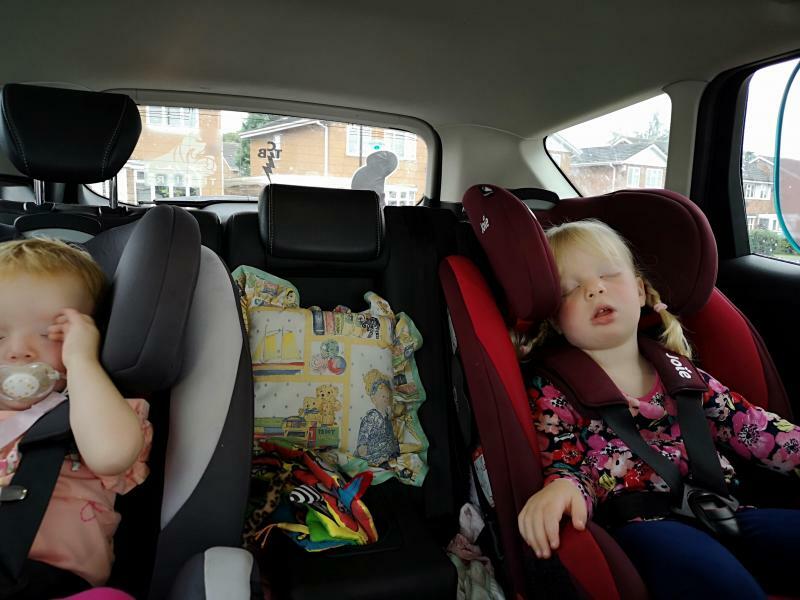 It's quick and easy to put in and out of the car using isofix you don't need to lay around with the seat belts to secure it, so saves your time and your nerves. Only recently bought this car seat for my 14 month old son as baby number two is on the way and son had outgrown his previous seat. Spent a lot of time looking for extended rear-facing seats and ‘‘tis is the one that kept coming up. It is excellent value for money, lasting till 18kg, and it is very comfortable once my little boy is in it. However, it can be quite difficult to get my (rather heavy) little boy into the seat as he has to be put in over the seat belt. This is quite an awkward manoeuvre in itself, let alone for a pregnant woman! Having said that, it is possible to tuck the seat belt under a handle which makes things a little easier (but you must make sure to return the seatbelt to the proper position in order to maximise safety.) my little boy is much more settled when in the car now, with plenty of space to move and also the car seat is higher up so he can see out of the window better! I have used this seat for both of my daughters from 4-6 months onwards. We love the seat so much we have 2 in each of our cars - they are particularly heavy so not easy to switch each journey! But, I must say they are easy to fit into the cars. I find them attractive & my daughters find them comfortable.